The website indicates a newer version is available, but when I try and update the software no update is available? 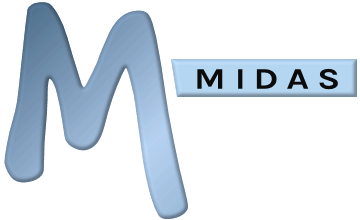 We release significant updates to our MIDAS room booking system several times a year, each of which contain a host of new and improved features. Each time a new update is released, we update the changelog (release notes) on our website accordingly. When we release new versions to our software, we generally release these to our cloud hosted customers in the first instance, before enabling updates a week or so later for our self hosted customers. The reason for this "staggered" release approach is primarily to ensure stability of each new release, as we can generally identify and troubleshoot any potential issues that may arise in a new update on our cloud-hosted infrastructure far quicker than we could on a customer's own self-hosted system. On occasion we develop custom bespoke editions of MIDAS for clients. Updates to these customized editions are typically delayed by a number of weeks from a general update release. This is because our development team won't begin work on integrating new & improved features in a new update into a customer's bespoke system until the general update has been out for a number of weeks and any issues identified following release resolved. If you run a custom/bespoke edition of MIDAS and no update is currently available to you despite a newer release being indicated on our website, please check again for updates in a week or so's time. What's included in an Annual Support Subscription? How frequently are updates for MIDAS released? Will I still receive software updates without an Annual Support Subscription?